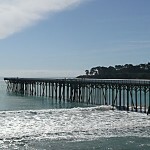 What a great Day in San Simeon California at the Pier! Feb. is a good time to visit San Simeon. The Pacific Leisure staff went on a photo shoot trip to see the Elephant Seals in San Simeon. 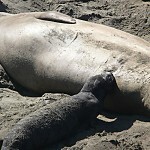 It is Baby Elephant Seal time!